Yesterday we had a very interesting information day at Anthonij Rupert Wines, presented by Lucinda Heyns of the IGWS with inputs from Rosa Kruger, about Echalas vineyards in South Africa. The intention of the day was to share knowledge about planning, planting, farming and winemaking of vineyards farmed Echalas style. But what is Echalas and why would we plant like this? 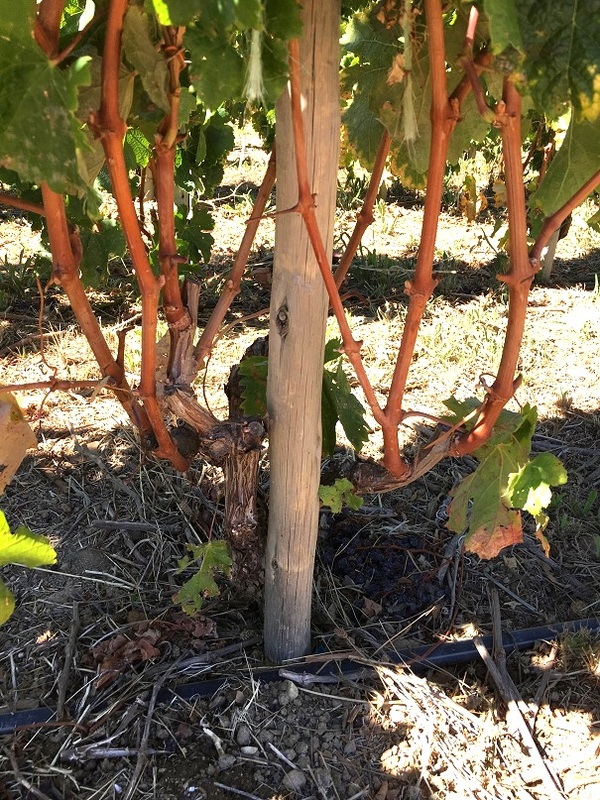 Echalas is a form of trellising, widely found in Côte-Rôtie, where the grapevine is trellised up a single pole. This pole supports the vine and no wires are used as in traditional Vertical Shoot Positioning or Guyot systems. This system is used either where it is very steep (like parts of Germany and Priorat) or where constant strong winds are found. 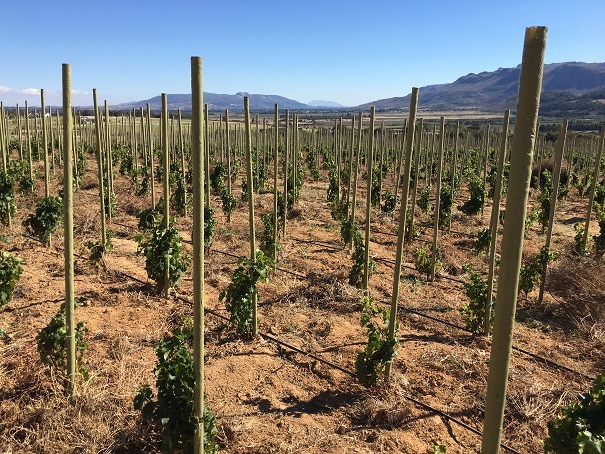 Anthonij Rupert Wines planted their first Echalas vineyard (Shiraz) back in 2007, with the vineyards then under the supervision of renowned viticulturist Rosa Kruger. 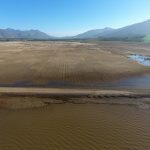 Kruger is the expert on Echalas in South Africa, visible on the current plantings in South Africa which was established with her careful planning and design work. 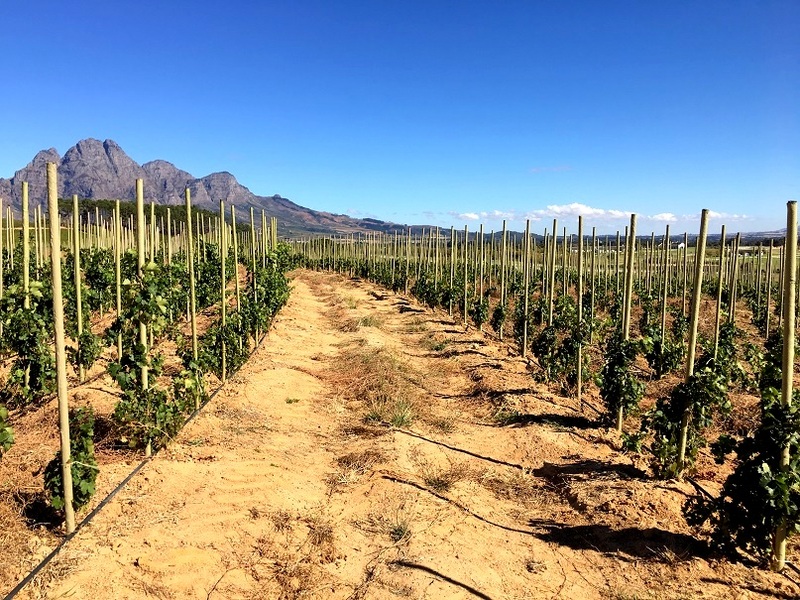 Probably the most well traveled viticulturist in the world, Kruger has the advantage of exposure to many of the greatest Echalas vineyards in the world. According to her, varieties with big bunches, like Grenache, should be avoided. 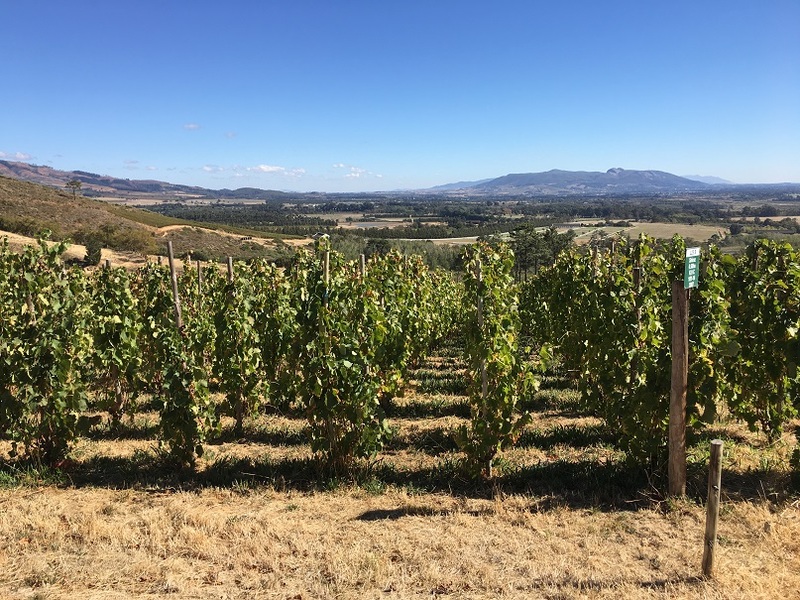 Varieties like Shiraz does very well on this system, mostly due to the fact that the vine don’t grow straight shoots like Cabernet Sauvignon or Mourvedre. Although Echalas is mostly synonymous with high density planting, this is not always the case. 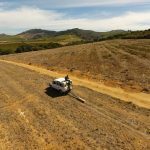 The planting density would depend on the steepness of the slope, the practical implication of working the vineyard (tractors), water availability and end goal with your wine. The higher the density, the more competition the vines have and the less they yield. 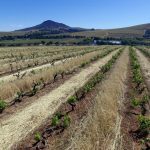 Establishing a vineyard to Echalas style is very costly – almost double the cost of a “regular” vineyard. 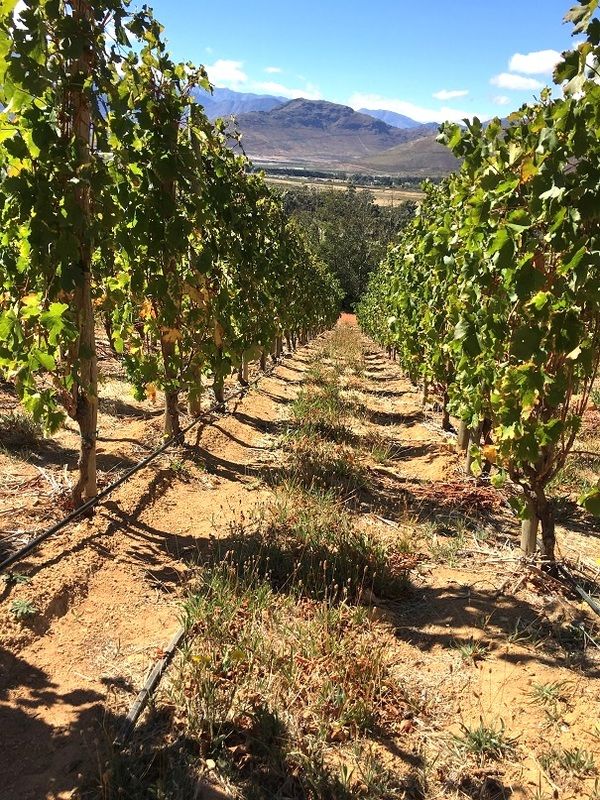 Farming it is labour intensive, and as Deborah Isaacs (viticulturist at Anthonij Rupert Wines) points out weed control is very challenging – especially in the high density vineyards. All of this points out that Echalas is goal driven, despite the fact that it looks freakin awesome! But how does it relate in the wines? Tasting the same varieties, from the same site, with the same clone, the same age, the same winemaking approach, the same wood regime but with the difference being Echalas vs VSP, your eyes open, your taste buds tingle and you want to phone the bank manager and plant Echalas! The wines from the Echalas vineyards are just more elegant, with a certain texture that the VSP Shiraz could not achieve. The tannins are soft, the wine has more length and wonderful spice. If the cost and labour issues put you off Echalas, the wine would change your mind!